EnLink 2RS Plus is capable of merging standard (PWM) servo signals as well a PPM, UDI or EX Bus protocols. 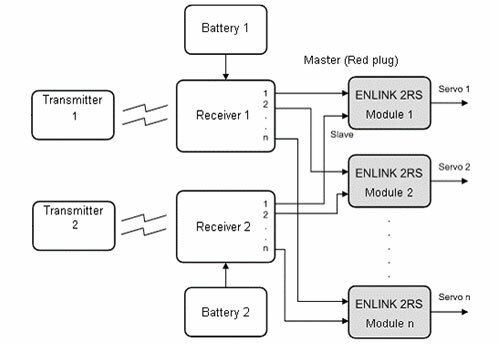 EnLink 2RS Plus is essentially intelligent dual input receiver switch for power signals and power supply of the servos. Intended primarily for operation in models where two receivers are connected in parallel configuration. 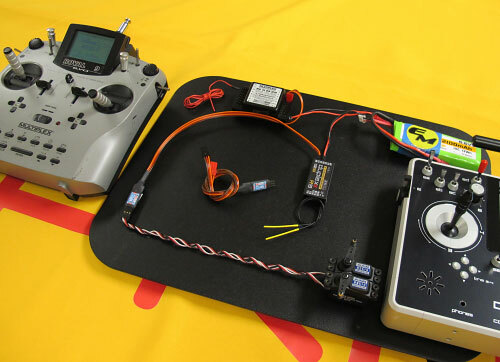 Check the video with two working independent radio systems. Primary Multiplex 72MHz and secondary Duplex 2.4GHz radio systems can operate same servos independently and in the case of turning one of the systems OFF, the other picks up control. EnLink 2RS safely and reliably eliminates signal losses on individual inputs. In case of complete signal failure, EnLink 2RS goes into a default (FailSafe) mode. All features of the EnLink can be directly programmed using the JetiBox. The Jeti EnLink 2RS Plus is designed to significantly increase safety and reliability of the radios systems by using them in parallel configuration. 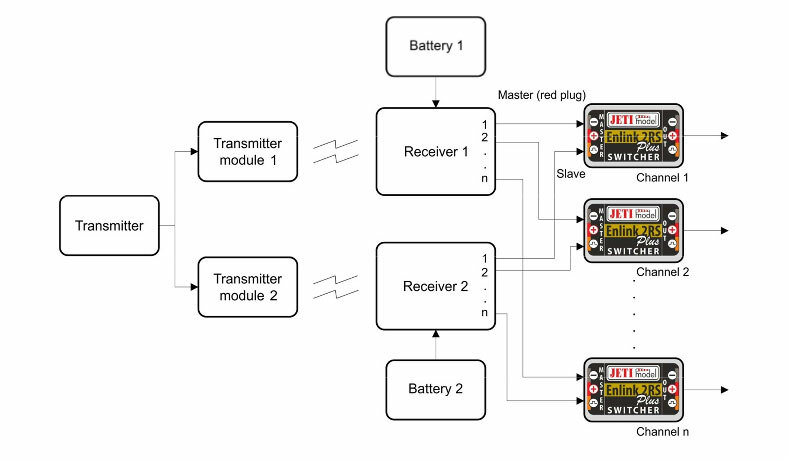 Also can be used for teaching and training of the students using two different radio systems. Note: Always make sure that FailSafe of the primary receiver is turned OFF!! !